Dusted with cracked black pepper & pan-seared, this steak dinner will make any night of the week feel special! Coat Painted Hills steak with a deliciously balanced glaze made with Watsonia Farm organic strawberries & balsamic vinegar. Accompany with a melange of local turnips, baby potatoes, sliced onion & broccoli roasted to perfection then tossed with fresh tarragon. Put the tada! 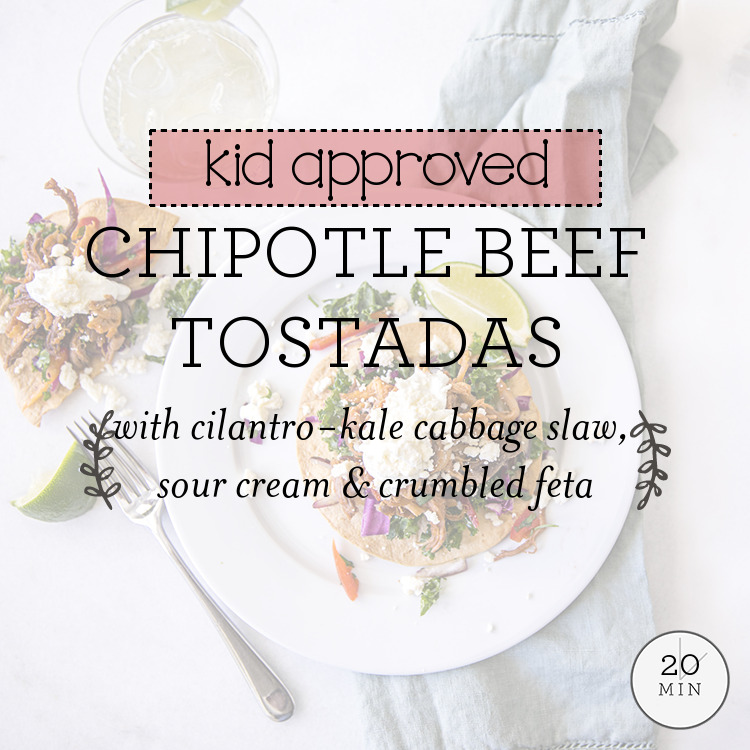 in tostada with this fun & quick recipe! Simmer Rock House Farm ground beef with Mexican spices, diced tomatoes & smoky chipotle pepper, then pile high onto toasted corn tortillas. Make a refreshing slaw of local kale, red peppers & cabbage tossed with cilantro & bright lime juice. Finish it off with a dollop of cooling sour cream & a crumble of Caly Road Creamery's feta. The vibrant spring flavors in this dish are sure to tempt your tastebuds. Springer Mountain chicken breasts are roasted with verdant sprigs of dill & bright lemon slices. Generously top chicken with a mouthwatering, creamy sauce of local spring leeks, Orchard Valley button mushrooms & silky creme fraiche. 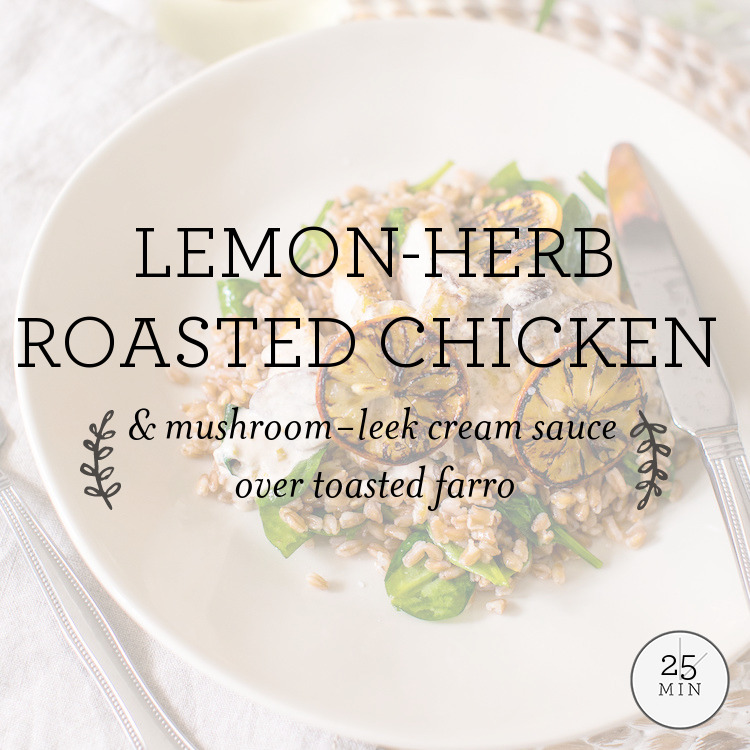 Serve over a bed of farro toasted with aromatics & tossed with wilted Swiss Chard. 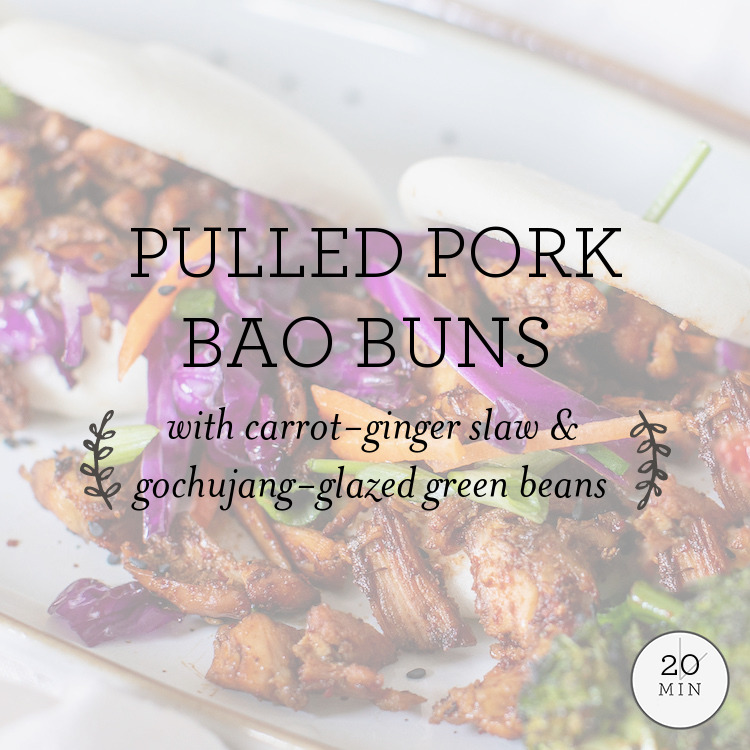 The whole team at G&G loves this recipe for easy steamed buns stuffed with succulent pulled pork from Pine Street Market that's sauced with a blend of Asian flavors. Top with a crisp carrot & red cabbage slaw dressed with a fresh ginger vinaigrette. Roast broccoli & local spring radishes with a gochujang glaze sweetened with a touch of honey, topping with black sesame seeds & sliced green onion to finish it off. The G&G staff loves this twist on a classic from our beloved Chef Torie Cox, a.k.a. Captain Vic! 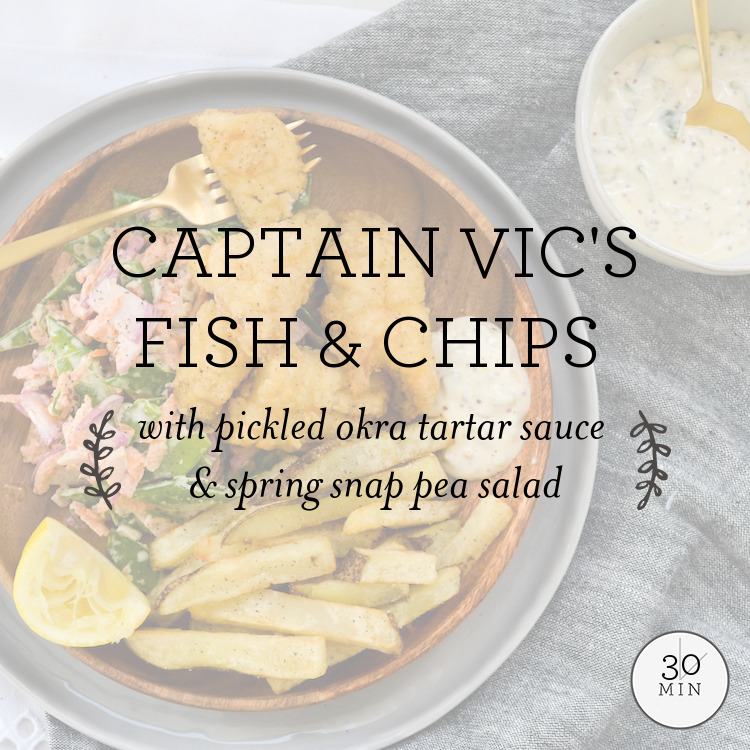 Let this recipe steer you towards more flavorful waters as you whisk up your own tartar sauce made with pickled okra from Serenbe Foods. Lightly batter & pan fry mild, tender fillets of redfish from Sea to Table. Ditch the usual deep-fried chips & bake seasoned potatoes instead. On the side, enjoy a colorful, crisp & tangy salad with snap peas, radish & carrot. 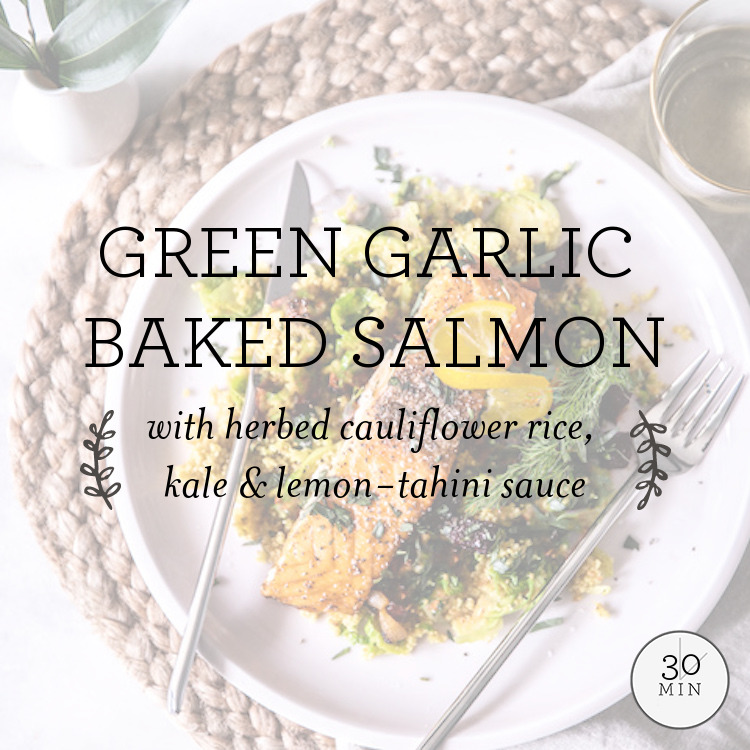 We just can't get enough of versatile cauliflower rice, and it really shines in this dish when sautéed with tender kale, aromatics & a handful of fragrant herbs. Bake Blue Circle salmon fillets alongside Rodgers Greens & Roots delicately flavored green garlic in an elegant white wine & butter sauce. Whisk nutty tahini & bright lemon into the pan sauce for a mouthwatering drizzle & garnish with toasted walnuts. Have dinner that's way healthier than your local take out ready in a flash! Stir fry tender pieces of Springer Mountain chicken breasts with ribbons of asparagus & sweet peppers in a full-bodied sauce with sesame, honey & aromatics. Toss rice noodles with everything to coat, then top with a sprinkle of nutty sesame seeds. 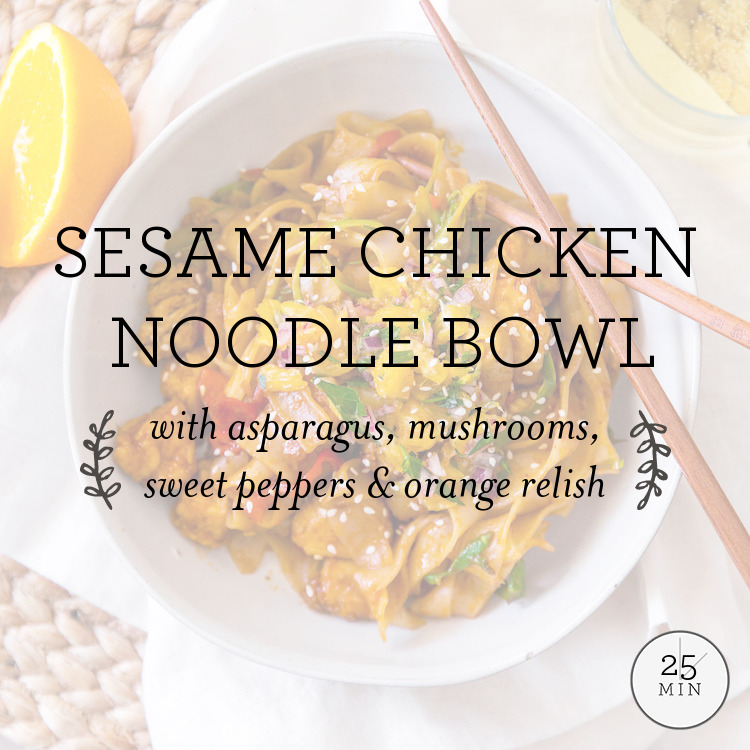 Elevate your noodles to the next level with a delicate relish of Florida oranges, red onion, cilantro & a hint of spicy sambal oelek. If Buttermilk Kitchen's biscuits aren't your favorite biscuits in town, then you haven't tried them yet. Now for a limited time, Chef Suzanne Vizethann is sharing her treasured drop biscuit recipe with G&G home cooks! 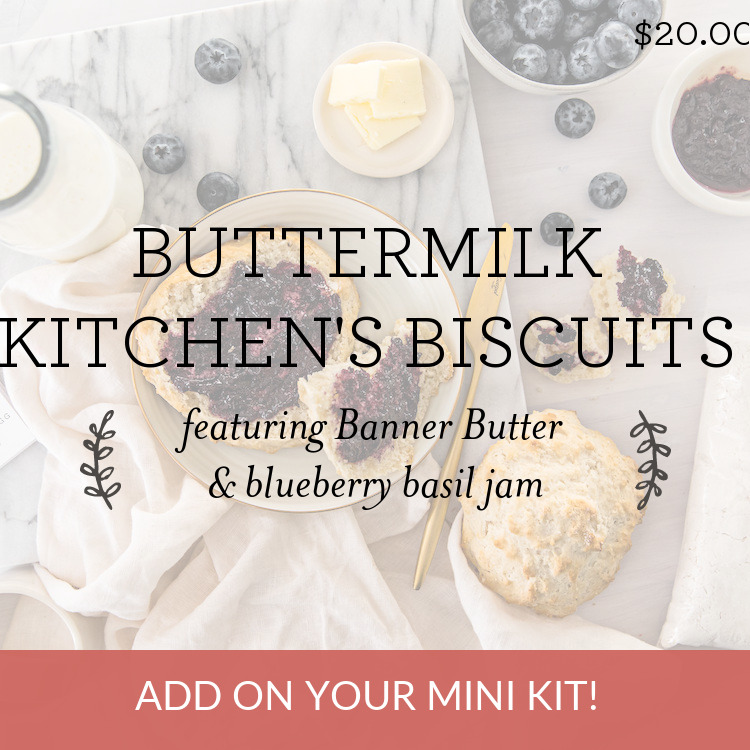 They feature Banner Butter's locally made, artisanal butter & authentic buttermilk. Crisp on the outside & warm & fluffy on the inside, top them with a generous helping of Buttermilk Kitchen's signature blueberry basil jam. Get 'em while they're hot! 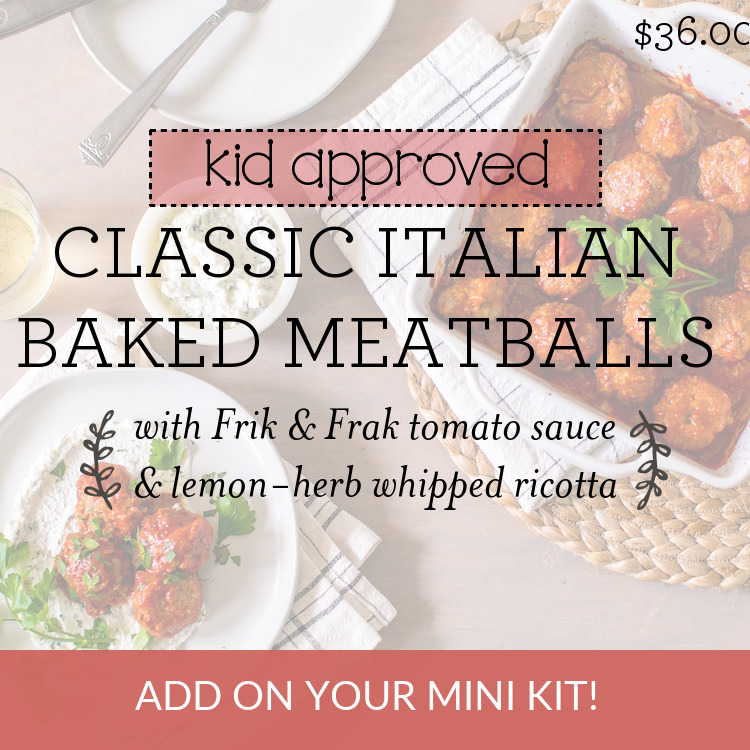 These delicious, freezer-friendly meatballs are just the ticket for a low effort, make-ahead appetizer or main dish! Form meatballs from a blend of Rock House Farm ground beef & pork, panko breadcrumbs, parmesan & aromatics. Bake with Frik & Frak tomato sauce until bubbly & fragrant. Whip creamy ricotta with Italian herbs & bright lemon for the perfect topping! 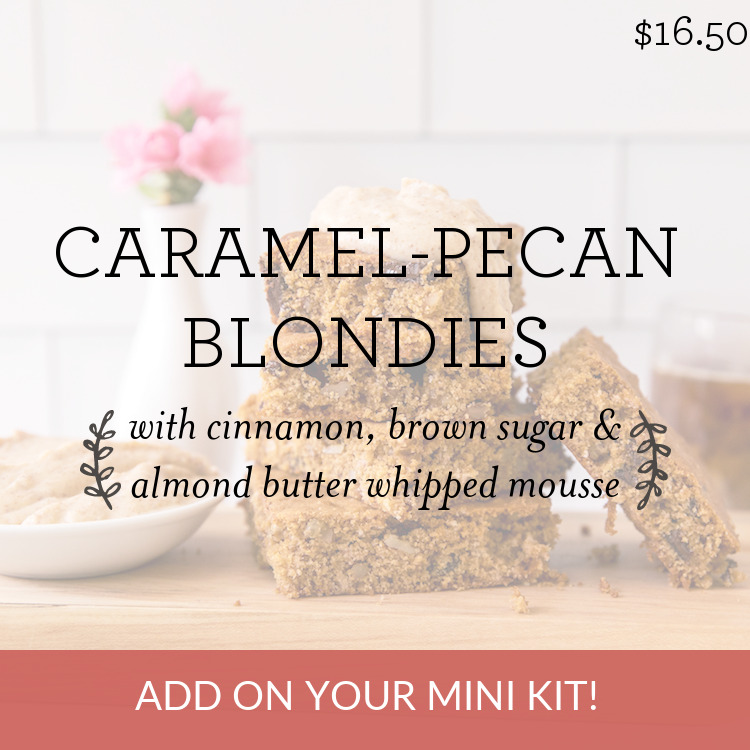 Everyone will go nuts for these blondies & as a bonus, they're a cinch to make! Make a cinnamon-spiced batter sweetened with dark brown sugar & touch of molasses, then fold in Georgia pecans & velvety caramel chips. While it bakes, whip up a quick mousse infused with almond butter from Georgia Grinders & maple syrup. Slice blondies & top with mousse or sandwich between slices for a real treat! 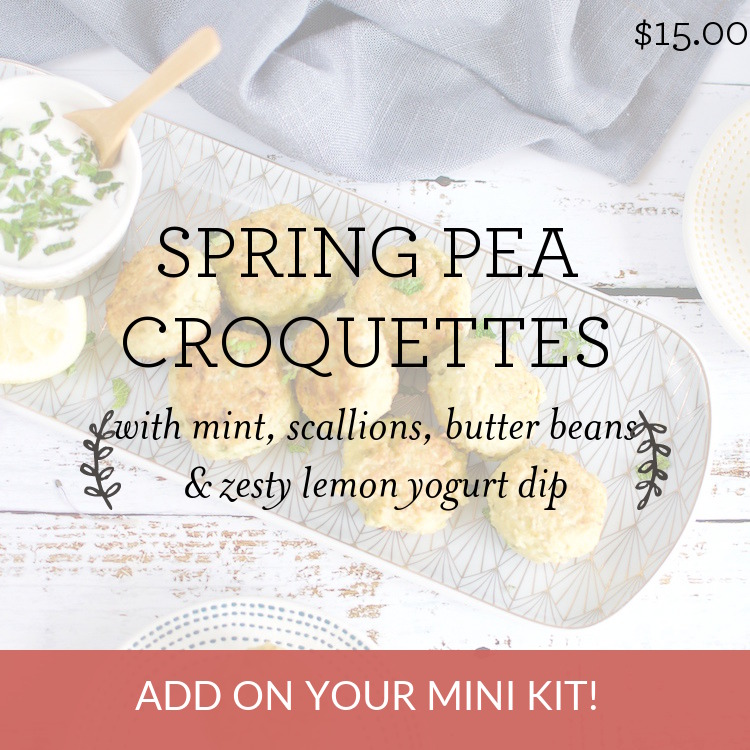 These delightfully easy croquettes are full of fresh spring flavors! They are a perfect appetizer, or you can make them ahead of time & pair with salad for a healthy lunch. Combine creamy ricotta with English peas, butter beans, scallions, mint, breadcrumbs & lemon zest then form into balls & pan fry until crisp & golden brown. Whip up a lemony Greek yogurt dip with tahini, sour cream & refreshing mint leaves. 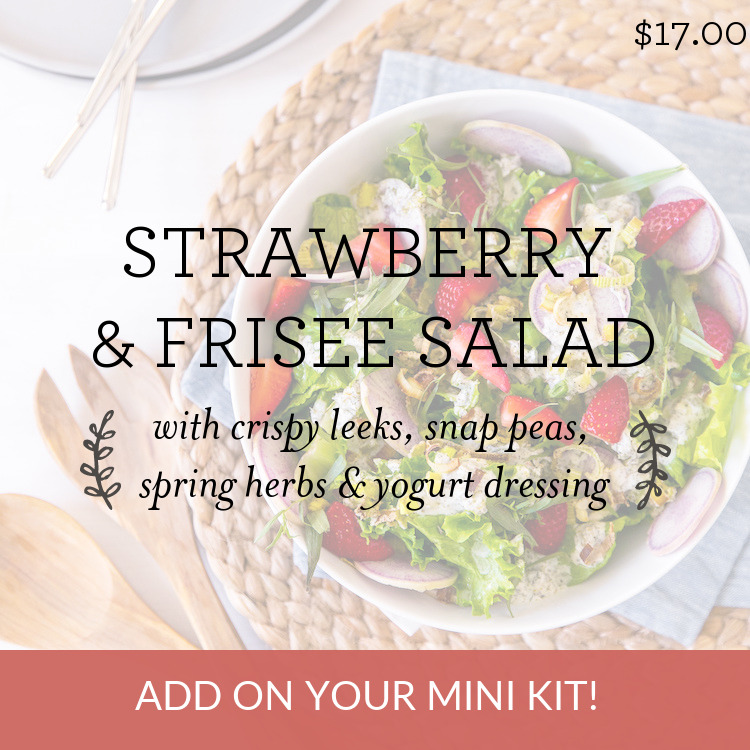 Enjoy the best of spring's bounty all in one delicious salad kit! Forget about croutons-try toasting lightly breaded leeks for a healthier, more interesting topping! Toss curly frisee, spring peas & snap peas with a bright, herbaceous yogurt dressing featuring sweet tarragon, fragrant dill & cool mint. 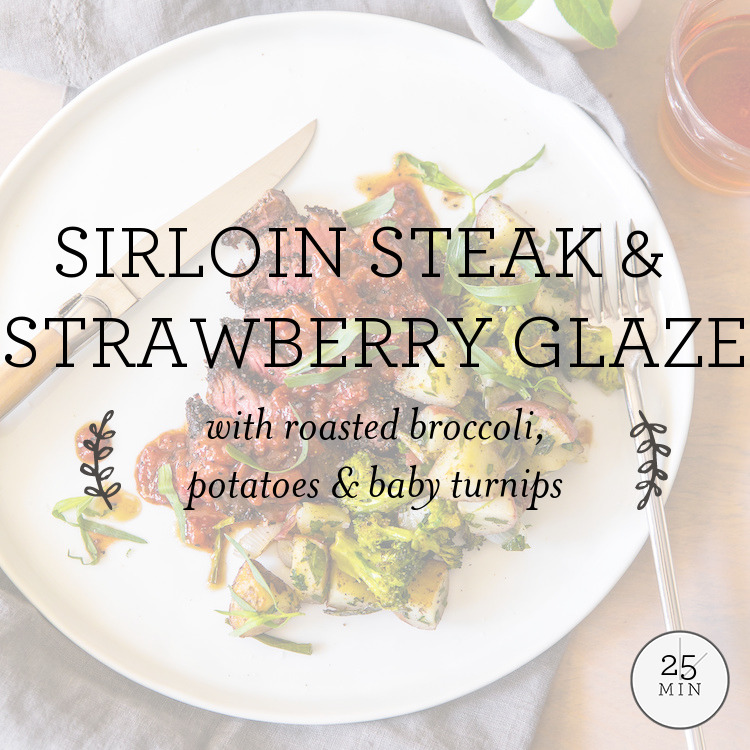 Top with beautiful radishes & sweet Watsonia Farm strawberries along with your crispy leeks. This crowd-pleaser of a side dish is sure to impress with its elegant looks & mouthwatering flavors! 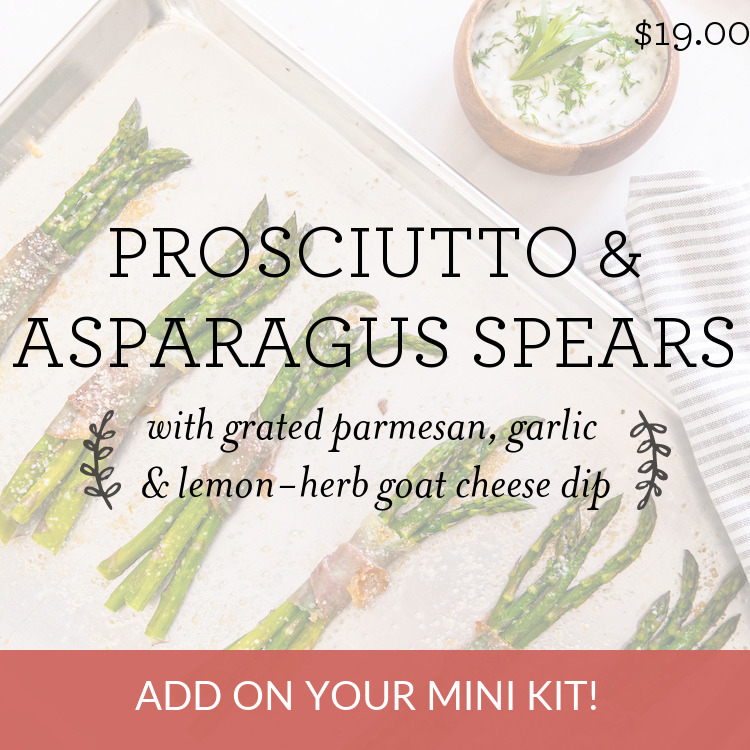 Wrap tender asparagus spears from Fallaw Farms with a thick ribbon of Spotted Trotter's melt-in-your-mouth prosciutto. Brush with a little butter, sprinkle with parmesan & garlic, then bake until perfectly tender. Enjoy with a tangy, herb-infused dip featuring Caly Road Creamery's goat cheese. Become a G&G member by choosing every week and save $5 on every order. Memberships are free & flexible, just log in weekly & pick your dinners. Order any number you’d like each week - no fixed meal plans & no minimums. Skip any week, any time and use our calendar to plan ahead. Memberships* can be cancelled at any time. * As a member, you'll be enrolled in auto billing. Simply cancel before Thursday at midnight to skip being charged for the week. Can we bring you dinner this week?